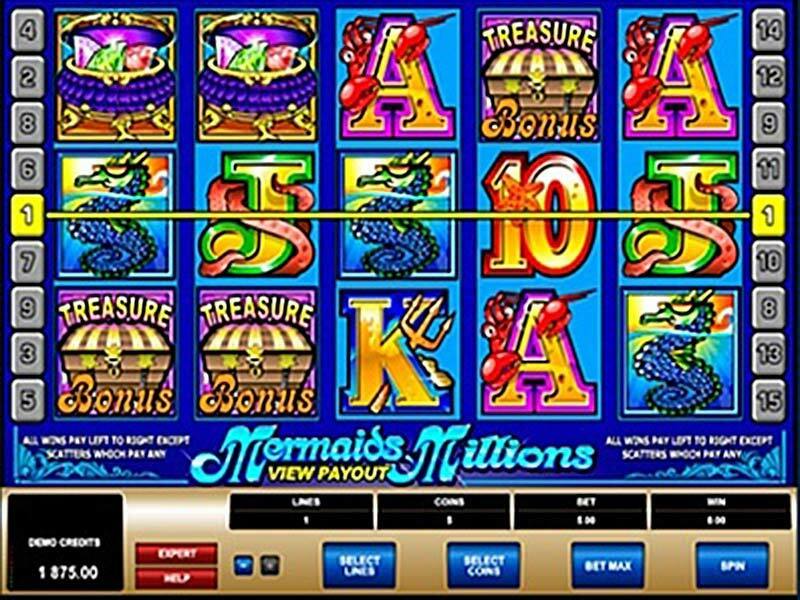 Mermaids Millions slot is an online machine developed by Microgaming and, by the looks of it, it could easily win the prize for the most colorful slot machine ever created. The theme is obviously based on mermaid legends and the reels are filled with matching symbols and elements. Unlike other machines, this one contains an impressive amount of details when speaking about the way it’s designed. Let’s have a closer look and talk about its specifications! The 5x3 reel grid and 15 flexible paylines are a common format for most modern slots available today. Many software providers have used this recipe and it seems that players are enjoying the five reels much more than the classic three reels. 1. In order to pump the final bet, players are able to select up to five coins per line getting the opportunity to win bigger prizes. If you’re looking for an autoplay feature, unfortunately not all versions of this game have this option. You may switch to the Expert mode and from there, you will be able to access the autoplay panel board. You’ll be able to set the reels to run automatically for a maximum number of 500 spins and a minimum of 25. In addition, you could set the reels to stop if your win exceeds a certain amount of coins. One thing is for sure - no one can say this game isn’t colorful enough! The designers used the brightest versions of all the rainbow colors thus creating a childish and playful look. Sure, the visual effects aren’t extraordinary, but the game is catchy enough to keep you entertained. Besides these elements, there are multiple other sea creatures such as a starfish, an octopus, a pearl necklace, crabs, and plenty of seashells. When you’re done playing this game, you might feel the need to book a vacation somewhere on a remote island! Even though there is no background music, you’ll hear water bubbles throughout the entire game. 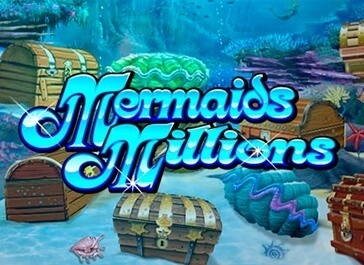 The designers of Mermaid Millions free games have created a realistic auditory experience and, if you close your eyes, you can picture yourself diving into the deep blue. This fun machine is easy to play and it can be a perfect way to spend a lazy day. It will challenge you to develop a suitable strategy and you can practice as much as you want without having to worry about losing real money!